Texturize and patternize clay slabs as quickly as you can hammer them out! 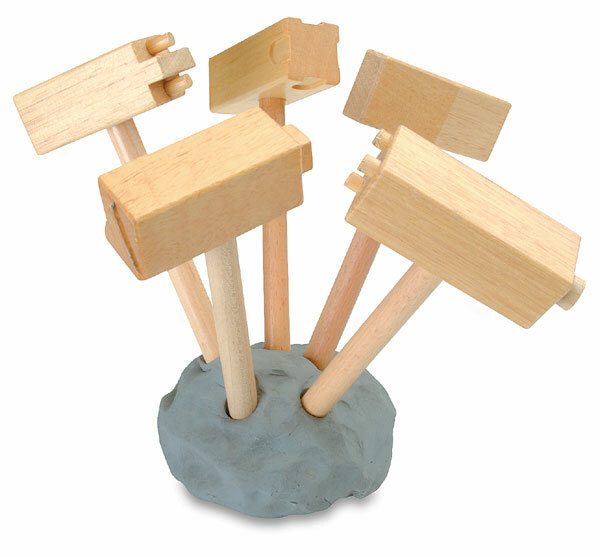 These clay hammers are made of smooth varnished hardwood and come in sets of five. Each hammer has two designs, one on each head. Heads are approximately 1" (2.5 cm) square.